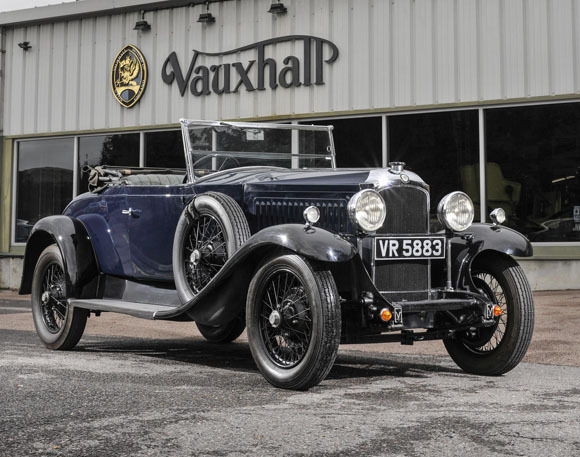 Vauxhall Motors’ fourth appearance at the NEC Classic Motor Show (November 13-15) will this year showcase six rare and unique classic models that have never been seen at the event, forming the centre-piece of a large, eight-stand Vauxhall area. The Vauxhall stand’s jewel in the crown, ‘MYT 1’, Her Majesty the Queen’s 1961 PA Cresta Friary Estate (above) is making only its second outing from Sandringham in the past 31 years, since it was moved there from the Royal Mews in London. 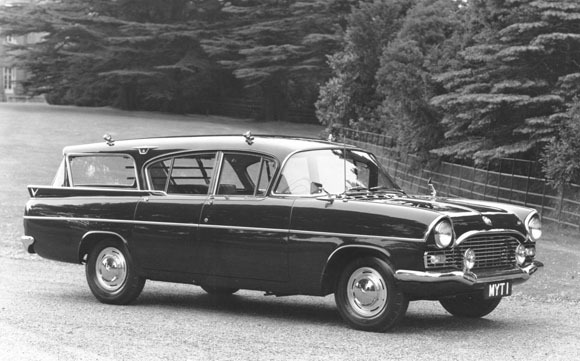 A personal favourite of the Queen, and one that she drove regularly in its day, the PA is painted Imperial Green – a bespoke colour not normally supplied by Vauxhall – and has a number of interesting features, like fishing rod holders built into the roof and a gun rack. In stark contrast to the royal estate is the world’s most famous and successful Vauxhall competition car, Baby Bertha (above nd below). 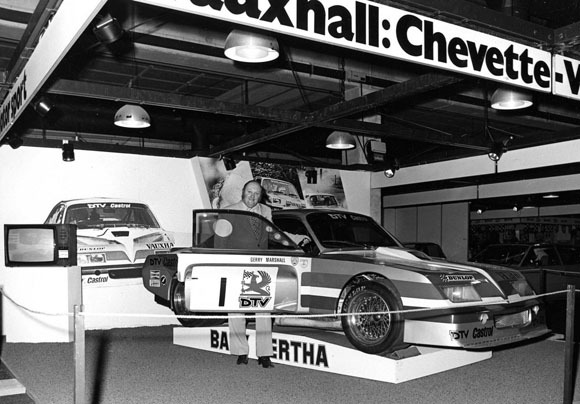 Driven by the legendary Gerry Marshall between 1975 and 1977, Bertha won all but three of 43 races entered, and took the Super Saloon Championship two years running. Loosely based on a production Firenza, Baby Bertha was built around a spaceframe chassis and powered by a 500bhp, 5.0-litre GM V8 engine. 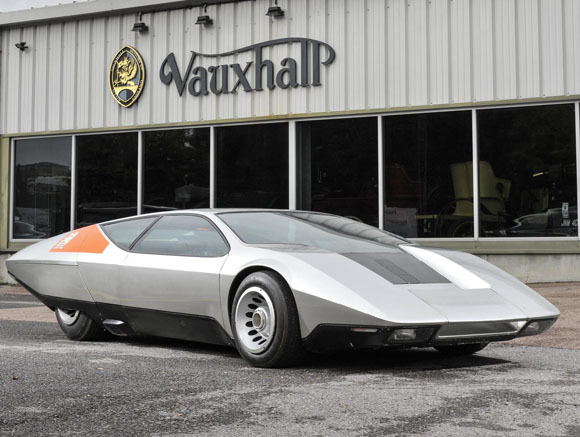 An equally dramatic 70s Vauxhall at the NEC is the SRV (Styling Research Vehicle) (below). First shown at the 1970 Earls Court Motor Show, the sleek imposing shape hides its four door practicality. But with an aerofoil, electric self-levelling suspension and a ‘manometer’ to measure air pressure on the car’s hull, the SRV illustrated Vauxhall’s forward-thinking approach to engineering and design, which still exists today. 70 years before car production ended in Luton Vauxhall was still building high-end cars for well-heeled drivers. A perfect example will be the oldest car on Vauxhall’s stand, a 1930 T-type Melton Golfer’s Coupe (below). Now ultra-rare, with its Grosvenor body, dickey-seat and unique small door in front of the nearside rear wheel to house golfing equipment, the T-type was one of the first Vauxhalls wholly built under GM ownership. The last car on display is a Viva HA like no other. 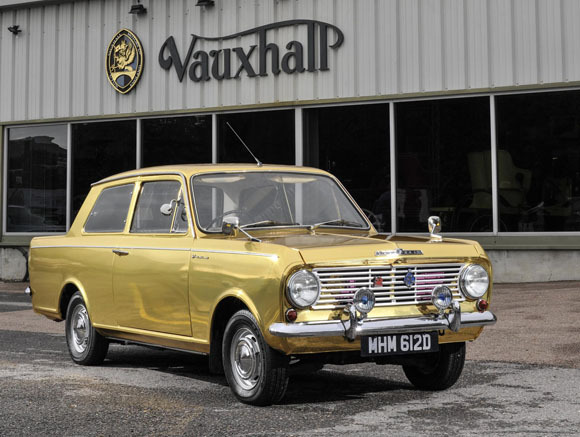 Known as ‘Goldviva’, the car made its first appearance at this year’s Goodwood Revival, where it was the star of a cinematic pastiche in the Earls Court display. Wrapped entirely in gold, the car also gives a nod to Ellesmere Port’s 50 years of car production, which the plant celebrated last year. But Vauxhall’s own exhibits only form part of the Griffin area at the show. Comprising eight stands in total, there are some rare and unusual cars on display, such as: John Cleland’s ex-works Mk. 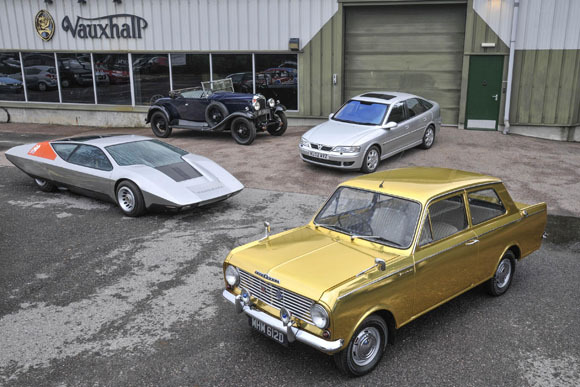 3 Cavalier Touring Car; Silver Aero and Black Magic, one-off creations from Vauxhall’s design department; the oldest roadworthy Chevette and the oldest Cavalier, both of which are on show to support their respective 40th anniversaries. 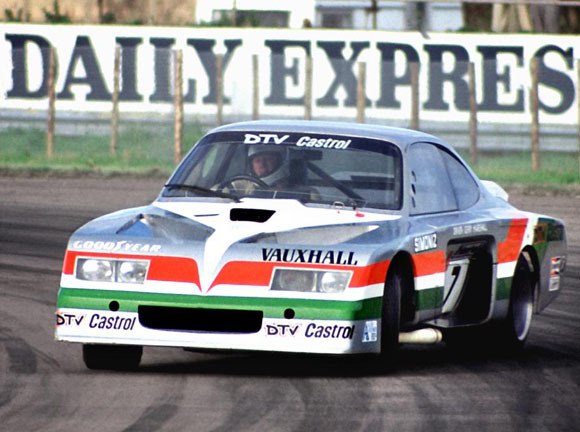 Joining Vauxhall in the Griffin-branded area will be the Vauxhall Cresta Club, Vauxhall FD Register, Vauxhall VX4/90 Drivers’ Club, Chevette Owners’ Group, Vauxhall Cavalier and Chevette Club, Vauxhall/Opel Drivers’ Club and the Just Opel/Vauxhall Car Club. The Lancaster Insurance Classic Motor Show runs from November 13-15 and is the largest show of its kind in the UK. This year, there will be 2,500 cars and bikes on display, many of which can be found on the 250 club stands.